This is a Print. 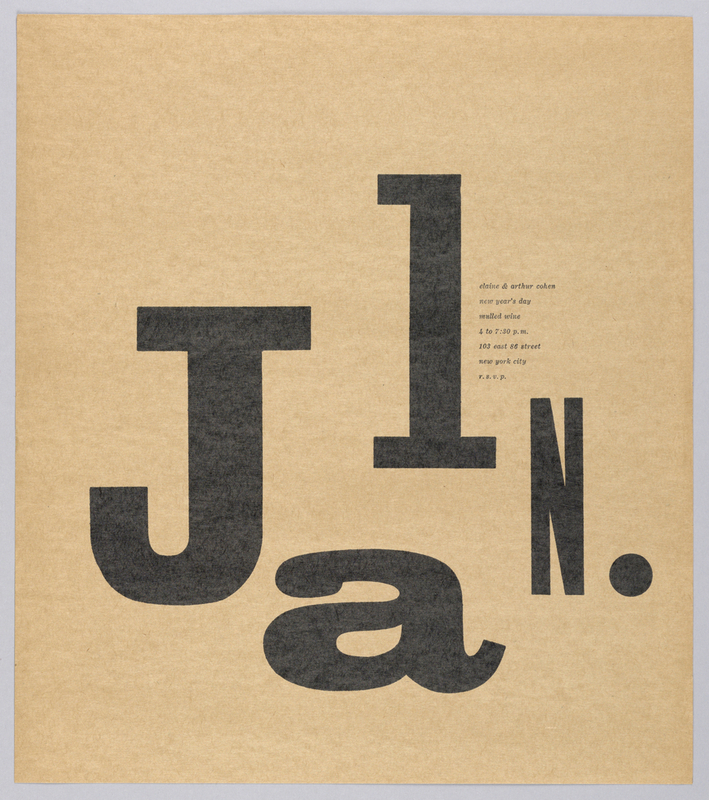 It was designed by Elaine Lustig Cohen. It is dated 1958 and we acquired it in 1993. Its medium is offset lithograph on tan paper. It is a part of the Drawings, Prints, and Graphic Design department. Printed in black, circular formation: Jan. 1; in black, to the right of "1": elaine & arthur cohen / new year's day / mulled wine / 4 to 7:30 p.m. / 103 east 86 street / new york city / r. s. v. p.